My mom has been making this frosting recipe as far back as I can remember. With the help of some photo's, I can track this recipe 40 plus years. This has met with my mom's approval for that long, and never failed her once. I call it "Sticky Frosting", always have, and always will. But, Mom call's it Marshmallow Frosting, which is probably a better name, and how other's know this type of frosting. It's like a marshmallow fluff, only smoother, fluffier, and not quite so sweet! Best of all? It's easy! No need for thermometer's, double boilers, or 7 minute timers! In large mixing bowl, beat egg whites and salt at high speed until foamy. Gradually add sugar, beating until stiff peaks form. In small saucepan, heat corn syrup over medium heat until boiling. Slowly pour boiling syrup in thin stream over beaten egg whites, beating constantly. Beat until thick enough to spread. Add vanilla. Use immediately to frost cakes or cupcakes. **For best quality store frosted items in air tight container, and use within 2 -3 days. This looks like perfection :) Gonna save this for later! Yum! 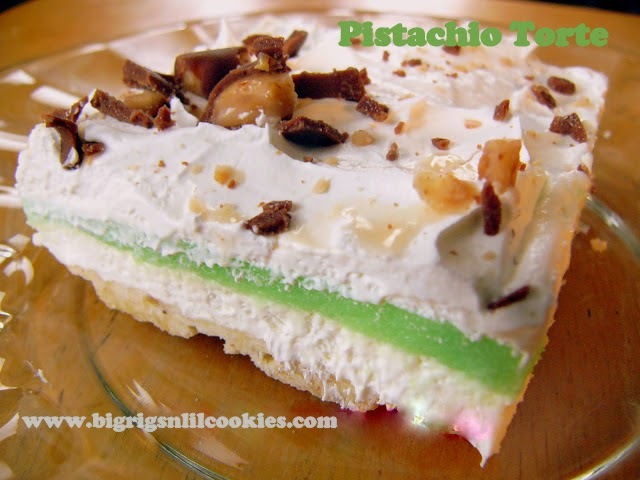 I like the name sticky frosting, when I make it that is totally what I'm calling it. If mom has been making it for 40+ years, you know it has to be good! I just make this for my bunny cake I made for Easter. :-) Great frosting. YUM! This looks like some kind of angel white frosting - I love how white it is, I have to try it and SOON! My girls have birthdays around the corner so maybe then! 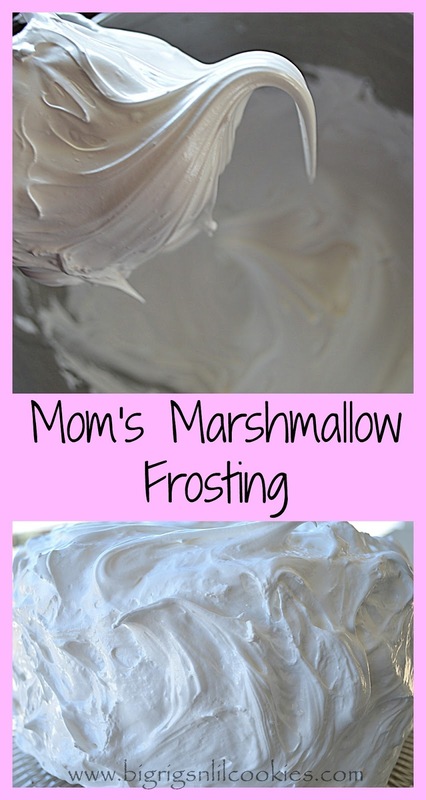 I've made this frosting before too as my mom made it for years. I believe we called in 7-minute frosting but it sure is yummy. Absolutely stunning! I just love how smooth and shiny it looks. Have never seen corn syrup over here, so I wonder if I can use maple syrup instead..
look for Karo syrup get the white one. Angie ~ Since corn syrup isn't available to you, I did some research and your maple syrup would be a great idea for a substitute, also honey would be something to try. I would be interested in the results if you give it a try! There's no corn syrup in my country as well. Any ideas with what other ingredients I can substitute it with? Make a simple syrup of sugar and water. It appears to be very similar to swiss meringue. Wish I had looked at this thread before making this recipe. Consistency is great but the taste of corn syrup was overwhelming and it didn’t go over well. Will definitely try again with maple syrup. Golden syrup would make a wonderful tasting frosting! This frosting looks amazing! Can't wait to try it. Thanks for sharing with us at Weekend Potluck. Thank you for sharing. I love tried and true recipes that come with a lot of history. Lovely frosting - my Mom made something like this, too - only of course I wanted chocolate - now I appreciate it. Thanks for sharing on Throwback Thursday! How many cupcakes do you think a single batch would frost? And do you think adding liquor at the end will affect it setting up? I add liquor to regular marshmallows when I make them but they use gelatin. Also, will this torch up like a regular marshmallow? I've only used it on cupcakes once, and it frosted 2 dozen nicely. So depending on how generous you are. I've never added liquor to this, so really can't say. My thought is it would be ok if it was a small amount. Also, I've never tried torching it, but don't see any reason not to try. My grandmother and mother used to make this frosting for my birthday cakes when I was a child. Always with chocolate cake. It was soooo good. Mine never tasted like theirs. I'm going to give it another try. My mother made this for me and spread it on a 3 tier white, very light fluffy cake and sprinkled it with coconut. It was my favorite and still is. I'm excited about making it with your recipe since I never have made it for myself. My mother used to make a similar frosting. If I recall, it got crunchy on top if not used the same day. How long will this recipe stay soft? These has only lasted in our house for up to four days. I've always kept it covered, and it's never gotten "crunchy". By day three it isn't as soft, but never crunchy. That was probably a 7-minute frosting. It gets crusty. Marshmallow type just loses volume and melts down in a few days. Do you keep the cake at room temperature after it's frosted? Can the frosted items be refrigerated? I do keep it at room temperature. I have never refrigerated the frosting, and do not think the texture would be as good if you did so. This frosting looks divine! We'd love for you to share it with us at Funtastic Friday. It's the perfect party dish. hi.. Can I put color to this frosting? I have never colored it, but if you were just adding a few drops of coloring, it should be ok. If you have concerns about this, you could try using pasteurized eggs. We called this "Seafoam Icing" in our family. Mother made this frequently as a cake topping, as did I for my kids ... with a touch of various food colorings. I made it and didn’t workfor me..... it looked ok for the a while then started to drip and cake looked awful. Any tips for next time? My first thought on it dripping would be if it was in to warm or humid of a location. Keeping it in a cooler location without humidity would be best. This recipe looks yummy! Seven minute frosting has a slight crustiness to it once it has sat in the air. Does this recipe do the same or remain soft? My other concern is that it be light and creamy...not firm like a marshmallow once set on the cake. After frosting, I have kept my cakes covered in an average temperature home, and it has remained soft for the first two days. After that it isn't as soft, but hasn't got to be crunchy before we have finished the cake. Thanks. I'm anxious to try it! Hi! Will this recipe frost a two-layer 9” cake? I have never done that. If you were real sparing with the middle layer of frosting, my guess is that you would be ok. Again, this is just my best guess. HOLY YUMMMMMM and soooooo easy. :-D This was my dad's favorite icing. He called it White Mountain Icing. The recipe my mom has is a pain though. It uses a candy thermometer. ;-) Thank you sooooo much for a simple one! The boiling corn syrup probably takes care of the uncooked egg whites. Can I double this recipe? I have never doubled it, so can't say for sure on that. Does it pipe well? Or is it too sticky?